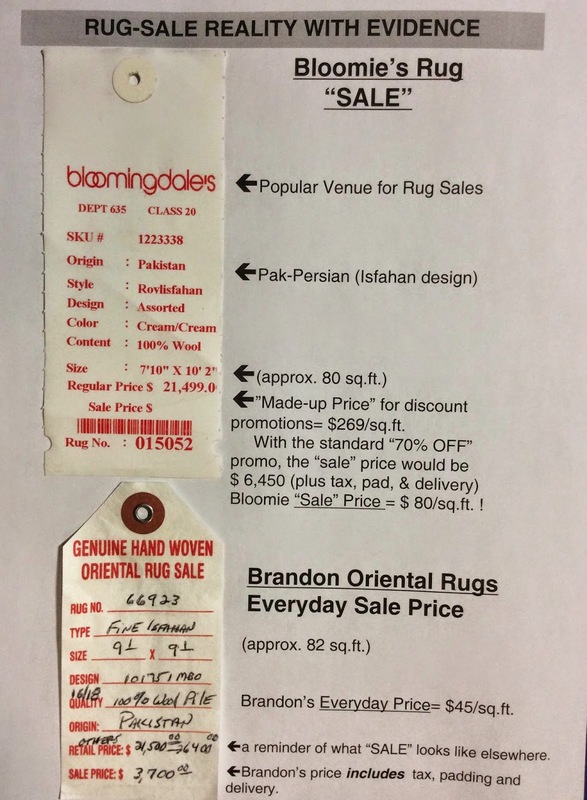 You do NOT have to wait for a "SALE" to get the best price on the best quality area rugs. 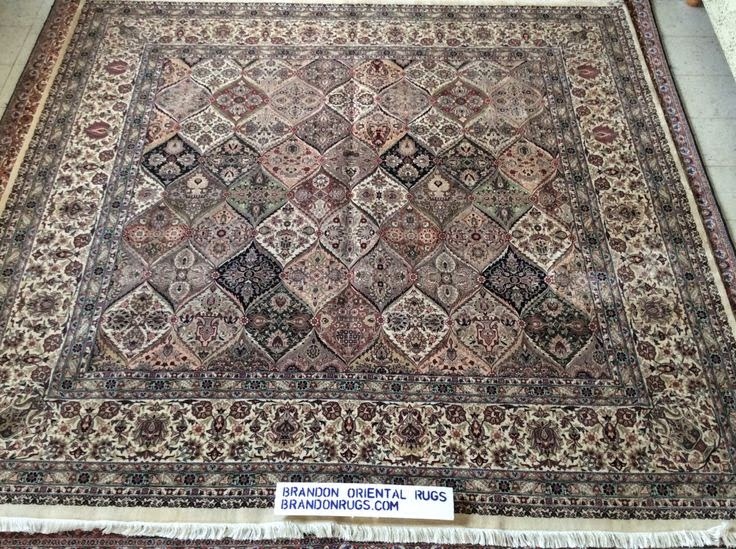 Certainly, if quality is an important consideration in your purchase decisions, you are going to want REAL oriental rugs; and real prices should be attached to the rugs you'll be considering. 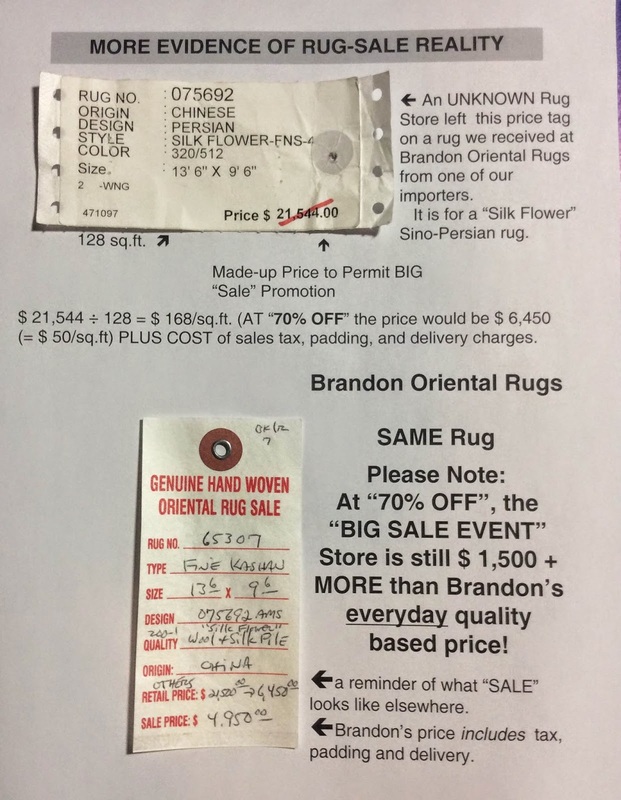 Afterall, if the price on the tag isn't true (and was never meant to be true) what else can you trust about the information you are given regarding the rug? The strategy shouldn't be holding out for "70% OFF" when the next SALE days role around. Instead, you should find out what quality or style of rug you like that will be best for the purposes for which you need it (including many years of enjoyment.) 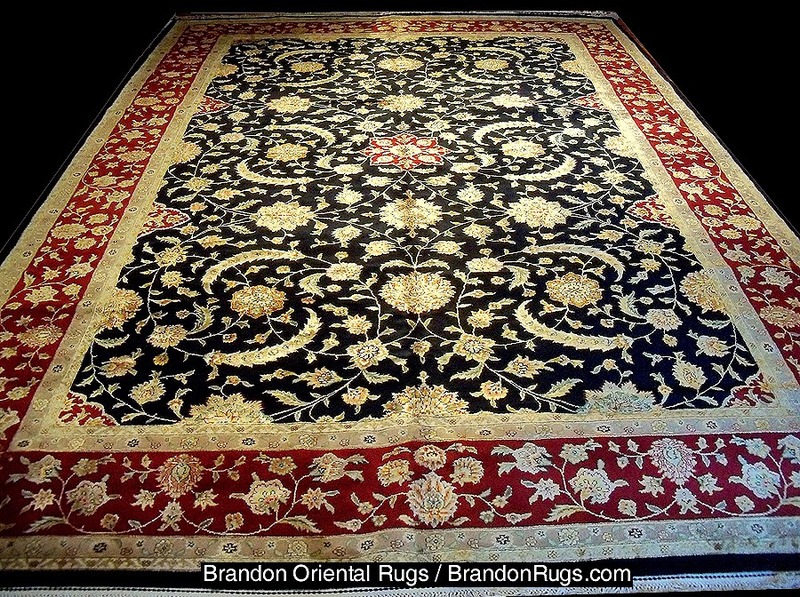 Then pursue finding the best overall value that is being offered to you truly and for real for that type of rug. This goes too for antique and one-of-a-kind rugs. Though their uniqueness puts them in a class that brings intangibles to pricing, you can probably find information on comparable examples, and establish a fair price range within which you can feel comfortable making a deal.